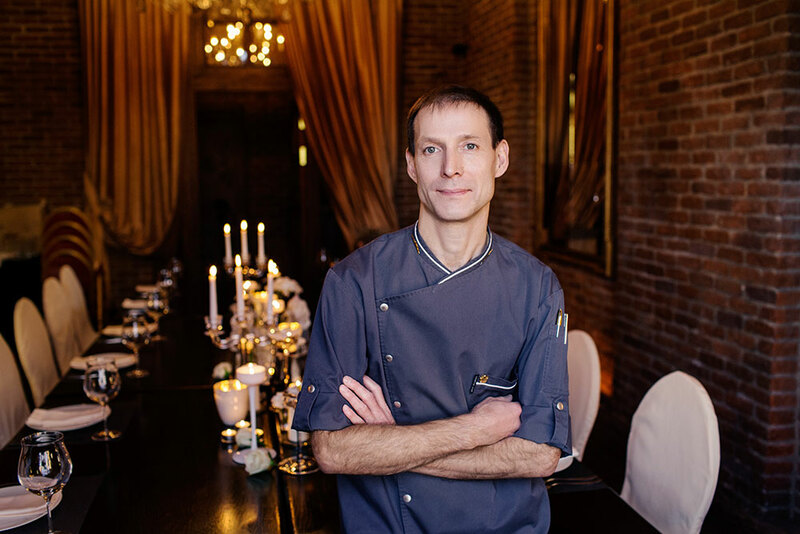 We have a pleasure to announce that Maison Dellos has become an official gastronomic partner of the Russia Pavilion at EXPO Milano 2015 , and our reputable chef Igor Bednyakov will act as the Russian ambassador in Milan! On 27th and 28th of June Igor Bednyakov will offer the guests three dishes – three caviars that will take you on a unique tour around the Volga river bank, visit a deep Northern forest, and feel hospitality of the village house. From this time forth, the word ‘caviar’ will evoke new associations. Firstly, this is pike caviar. Many connoisseurs of this light caviar with gentle texture and subtle taste prefer it to other sorts of the product. According to the legend, in the times of Ivan the Terrible, pike caviar was particularly appreciated as well as the pike itself that was a fairy tale character famous for its wisdom and cunning. A special way of caviar salt-curing invented by the Lower Volga fishermen turned a well-known Russian product into a real delicacy. Our chef’s suggestion is to try gently frothed pike caviar with vegetables and vinegar. Caviar is served on a grain toast. Secondly, this is mushroom caviar prepared from wild mushrooms picked in Northern forests of Arkhangelsk Region. Their rich fragrance and distinct taste make them are a harmonious match with common (button) mushrooms. Mushroom caviar is very popular in Russia. This dish is prepared at the height of the mushroom-picking season when full baskets of mushrooms are arriving from forests and ladies are making every attempt to preserve this treasure. On a winter evening, they will serve fragrant mushroom caviar to the table, bringing to mind summer days and walks through the forest. The dish will be served on a fragrant slice of toasted Borodinsky bread (dark brown sourdough rye bread). And finally comes the ‘overseas’ aubergine caviar. It is certainly called ‘overseas’ for fun as aubergines were brought to Russia from South Europe and are now successfully cultivated both in Krasnodar and Moscow Regions. There are plenty of recipes of this dish, and Igor Bednyakov has his own unique own. Aubergine caviar will be served on a slice of onion bread.